Up in the market, Boly Wireless Trail Camera is waving its banner with its new advanced concept technology that uses cellular sim cards to connect and transmit photos and or videos to its owner’s mobile phones or thru emails that can be programmed and customize to activate on motion and or at preset time intervals. It has a mind of its own, yet the user can customize and manage its settings thru 3G communications. It has a free mobile application available for iOS, Android, and Windows that works perfectly fine on AT&T, T-Mobile, and Cricket Wireless. The black IR LED flash has an excellent detection of up to 90 feet distance and a detection range of 100 feet away from the camera. It has an image sensor of 14-megapixel color CMOS, 20 megapixels or 30 megapixels interpolation. Despite its capability to detect and capture photos in a quite long distance, it can maintain its image with the astonishing resolution of 30 megapixels that gives a razor sharp image with a crystal-clear and detailed document. Video footage with audio record also comprises of a high definition of 1920x1080p resolution. The latter then can be viewed on its built-in 3 inches colored LCD. It can support up to 32 GB SD card that can save thousands of photos without putting its quality at risk. It can accommodate both MMS and GPRS support and make compatible with 3G GSM network. Also, it provides native support for solar and external power options for extended optimum use. It is made studier to work even during rough weather conditions, and it is also snow resistant; thus it can withstand negative temperatures and still perform at its best. Also, it is guaranteed water resistant that can stand more extended periods even with the presence of water or when placed on a dark surface. Secured- It has a unique feature that can do sound broadcasting for use as a game call or to set up a security alarm. This enables the owner to be notified of the status of the camera. Also, it prevents thieves to steal it and other security purposes. Additional Power Source- It is programmed to support other alternatives such as the traditional solar energy and other external power options aside from its battery which is its primary power source. Image Resolution- It has a remarkable image resolution of 30 megapixels. Can produce sharp pictures with the absence of blurs. Video filming with audio is also at its high definition with the 1920×1080 resolution. It can snap photos even at night with clarity due to its wireless IR LED attached to it. Easy Access- No need for you to plug in and out its SD cards to view and access your photos. It transmits your files directly to your phone and emails; also the user can manage the camera setting thru 3G communication. It comes with a 2x wireless remote control that permits open access even it is placed on a distant. Broad Detection Coverage- It can detect within 100 feet distance or 30 meters away plus it is a wireless game camera. It has a sensitive sensory detector that can recognize even the light motion within its range of coverage. Adjustable PIR sensitivity- PIR sensitivity can be adjusted to high, medium, low depending on the users’ goal and expected outcome. Compatibility- It does not work with Verizon network, and it is exclusive to Canada and USA premises. It is not recommended to use abroad or even outside the mentioned countries. Because it is bound to work with its specific networks. Costly Cellular Plan- Since it uses cellular sim cards, it needs cellular data to operate. It requires full cellular plan to activate thus entails an additional cost for plan holders. Lenses- Lenses were made too thin that is easily disrupted or cracked when placed in a stuffy environment. Boly Wireless Trail Camera is made with a strong-featured figure that has the dimensions of 147 x 96 x76 mm that weighs 0.30 kg enough to make it handy. It has a standby current of less than 0.25 mAh which is estimated to accumulate at least less than 6 mAh per day. It requires both 8 pieces AA batteries to operate and cellular data for its software functions. It has a no glow night vision when used for recording during nighttime or within dim lights. An image sensor of 14 megapixels colors CMOS, 20 megapixels or 30 megapixels interpolation. It has a thin lens of F/NO 2.2 and a field view of 60Â°. PIR detection range reaches up to 30 meters or 100 feet distance and an operation storage temperature of up to -20 – +60Â°C / -30 – +70Â°C. The product includes 2x wireless remote control, USB cable, a tree strap for attachment, user manual, antenna and a warranty card. Boly Wireless Trail Camera is made for those wildlife and outdoor enthusiasts or ecological researchers who aimed to upgrade the quality of their wildlife photography, data gathering, monitoring, and surveillance. It is a more handy tool since there will be no wires to connect. This might be a smart investment for those who are looking for a handy yet durable camera that is always ready on the go. Most people purchase a trail camera to provide “an extra set of eyes” at feeders, along with game trails, and in other locations. For hunters, trail cameras allow scouting of multiple areas over the same period of time and monitoring 24-hour activity at locations for specific game species such as white-tailed deer. Thus, Boly Wireless Trail Camera is adequately produced with its higher form of technology that utilizes cellular cards for connectivity. That provides sophisticated image and video resolution that is well packed in a robust material. To live up to its purpose at its peak and help hunters achieve their goals as well as the individuals who wanted to attain high-quality data for wildlife research and or experience. 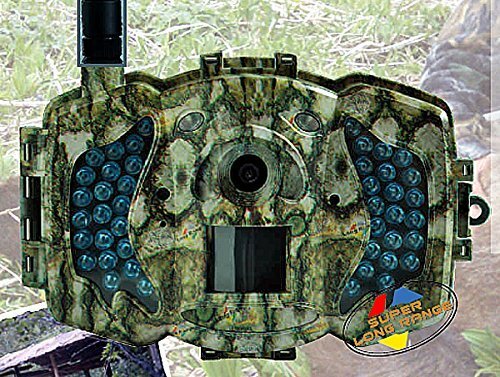 This might be the game camera you are looking for.